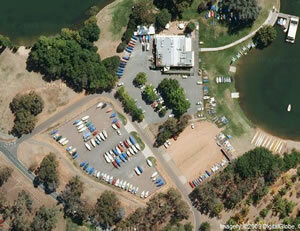 The Canberra Yacht Club has a fenced parking area for trailable yachts and internal storage for dinghies. Due to high demand and limited space, the owner must be a member of the CYC at the time of making an application for storage or renewal. Application must be made each year and is subject to review. You must use the boat, not simply store the boat. Allocation of boat parks is at the complete discretion of the club and the club reserves the right to refuse any application for parking. If the club accepts the owner's application, the owner will be entitled to park their boat in the allotted space for the period covered by the payment. Pro rata fees may be negotiated after the New Year. The space may only be used for the storage of the boat as indicated on the owner's application form. Please contact the Office on: (02) 6273 4777 if you require more information and a form.